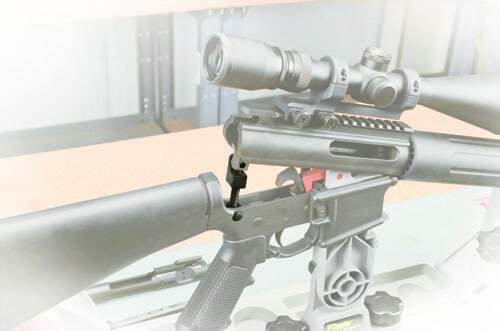 The AR-15 Adjustable Receiver Link will quickly become your go-to-tool when performing routine cleaning operations or making those anticipated performance upgrades. 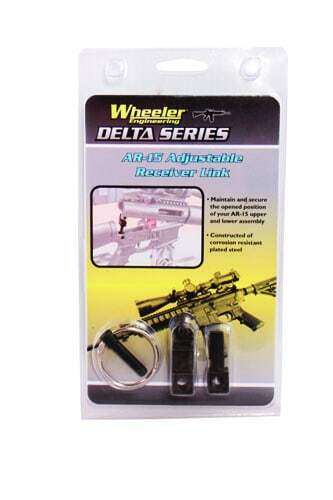 The Adjustable Receiver Link is designed to maintain and secure the opened position of your AR-15 upper and lower assembly. The kit comes with one upper link and two threaded lower links (one short, one long) to provide a total adjustment of approx. 3/4″. 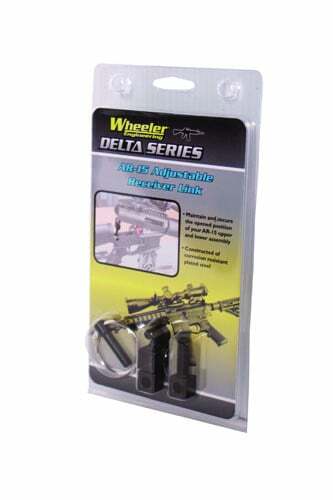 The upper link utilizes an integral pin to engage the upper receiver and the threaded lower portion utilizes the existing lower takedown hole and pin. 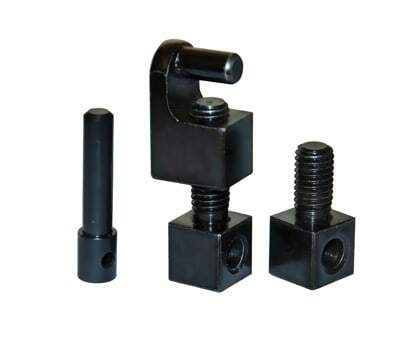 The short lower link provides a minimum opened position of 1.2″ pin to pin, enough room to insert a bore guide, and the maximum opening is 1.5″ from pin to pin. 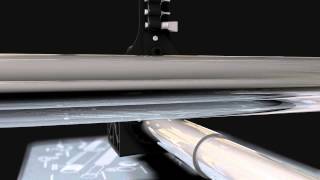 The longer threaded link will provide a minimum opening of 1.4″ and a maximum opening of 1.8″ from pin to pin. All three components are constructed of corrosion resistant plated steel. The precise tolerances and durable materials will ensure years or reliable service from this handy device.